We think that wireless accessories for modern hearing aids are really fantastic. Each manufacturer has introduced their own range, that work in a similar manner. They really open up your experience as a hearing aid user, allowing you to communicate with ease and enjoy the TV and music you enjoy. That is why we offer them. GN ReSound are a fantastic hearing aid manufacturer and that's why we offer their hearing aids across Scotland. 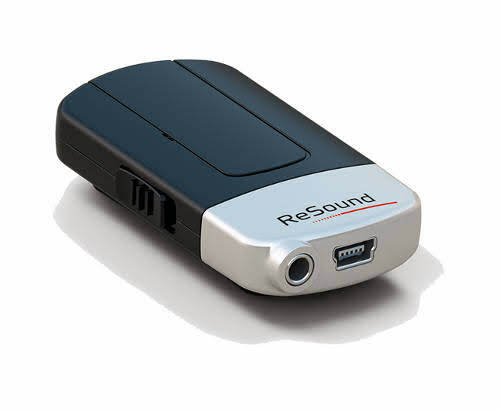 Let's look at the range from Resound and what they can offer you. The Phone Clip+ streams both crystal clear phone calls from your mobile straight to your hearing aids. Allowing you to enjoy comfortable conversations, even in noisy places.You can also use your Phone Clip+ to stream stereo quality music from your phone, or other Bluetooth™-enabled MP3 device directly to your hearing aids. The Phone Clip+ is also designed to deliver state-of-the-art headset functionality, like last number redial and voice dialing.When you are not on the phone, the Phone Clip+ can also work as a hearing aid remote control. If the background noise is too much when you are on the phone the clip+ allows you to mute your hearing aid microphones with a click of a dedicated button. This allows you to block out surrounding sounds, making it easier to focus on your phone call. Here is the interesting thing, the clip+ allows you to stay connected to two BluetoothTM devices at the same time. It will also connect to any BluetoothTM enabled device. So, if you buy a BluetoothTM enabled home phone, you can connect to that as well as your mobile. The way the Clip+ is designed all of the common functions you need only need a single click of a button. Just clip the Phone Clip+ on your clothes and start talking on the phone effortlessly.In the car or on the go, you can leave your phone in your pocket or bag and enjoy the convenience and safety of hands-free calling. Using the buttons on your hearing aids to toggle through programmes or change the volume can be a bit irritating with a lot of fumbling. Some of the smallest and discreet hearing aids either have no buttons at all or only one small one. It can be very irritating and not being able to change programmes and volume constricts you in your better hearing experience. The buttons on the Unite Remote Control 2 are large and easy to see. The device gives you access to the full power of your hearing aids allowing you to change programmes and volume among many other functions with ease. The Remote Control 2 works best for you when combined with other devices from the range. For instance when with the Remote Control 2 combined with the TV Streamer 2 you can adjust both the volume of the TV program and the volume of your hearing instruments independently. 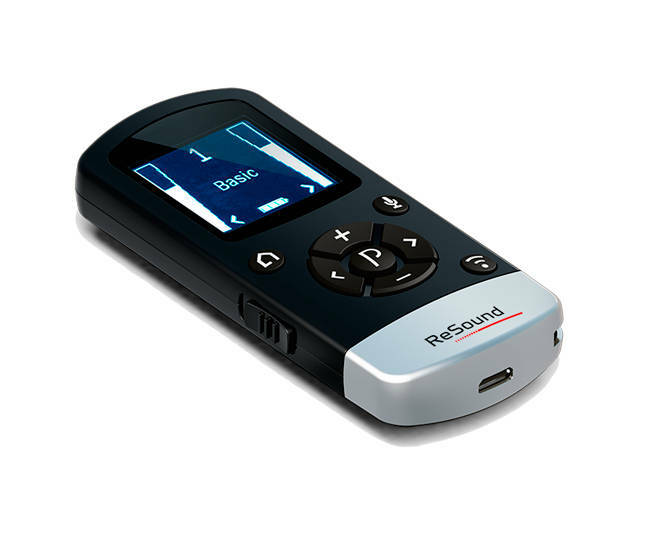 The visible display screen also delivers visual prompts that allow you to understand exactly what is going on with your hearing aids at a glance.The ReSound Unite Remote Control 2 is small enough to be kept in your pocket or purse with ease. For some people, even with hearing aids, the choice is stark, watch TV alone or be un-able to hear when your family watches it. The Unite TV Streamer removes this problem, you can hear the TV audio streamed directly to your hearing aids at the volume you want completely independently of the volume that everyone else is listening at. You could even mute the TV and still hear the audio at the volume you wish without bothering anyone else. it doesn't matter whether you have a brand new modern digital TV or an old analog model, the TV Streamer 2 is compatible with all TV models. You can even use it to stream audio from your favourite stereo system or music player. It is also really easy to set up and use, delivering real power for you with ease of use. Like most of the GN ReSound Unite range. The Mini MIcrophone from GN ReSound is an excellent dual purpose device. It can be used in noisy environments to help your speech understanding. I can also be used at lectures or similar types of events. Simply ask the speaker you wish to hear, to wear the Mini Microphone, or place it close to the speakers from the audio system. You can then sit within 7 metres of the device and hear the speaker clearly, that is at least 21 feet in old money. The applications are endless for this device, noisy restaurants? No matter how loud it is you can still hold private conversations. Want to hear passengers while driving the car? As simple as giving them the Mini Mic.Let's talk about those dual capabilities, want to hear some music while exercising or just relaxing? 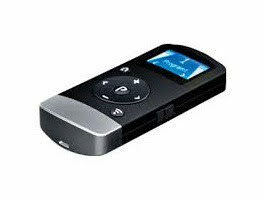 Just plug the Mini Microphone into an MP4 player and stream your music directly to your hearing aids. Hey, it can even work with a TV, simply place the Mini Microphone in front of the TV and get the extra boost you need to hear what you want. 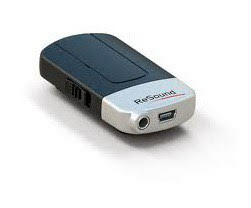 The ReSound Unite TV Streamer is designed to stream stereo sound from your television but can also be used with devices such as your stereo or computer. 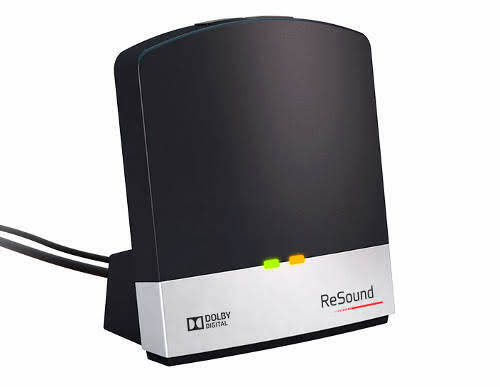 One of the main benefits of this Resound device is that unlike many wireless streamers available today, it does not require an additional device to be worn around the neck to relay the signal. This reduces both inconvenience and cost for the user. As the device is completely wireless, you are free to move around while using the streamer. The Unite TV Streamer has a transmission range of up to 7 metres and can automatically reconnect to the hearing aids if you go out of range, providing you have been away for less than 5 minutes. You can connect up to three of these streamers to your hearing aids at once so you can have wireless capability in different rooms of your house. Although the sound is streamed straight to your hearing aids, it does not block out the sounds around you like headphones so you don’t have to miss out on conversation while using it. It is simple to use and can be activated by simply pressing one button on your hearing aids or by using the remote control. The Unite phone clip offers you a wireless connection between your hearing aids and your Bluetooth enabled mobile phone. You can answer the phone hands free using this device and then the conversation can be heard in both ears at the same time. The phone clip has a rechargeable battery which can be recharged using either a wall socket or a USB port on a computer. Once fully charged the Phone Clip gives up to 6 hours of talk time and 200 hours of standby time. The phone clip is very user friendly, allowing you to both answer and end your calls with the push of one button. It can be clipped easily onto clothing and, because of the wireless technology, your phone can remain in your pocket or bag while you talk. It has easy volume controls and gives a clear sound with no feedback or distortion. The Unite remote control can be used to adjust the settings on your hearing aids. With its attractive and compact design, you can discreetly change the program or volume levels whenever required. It also has an easy to read display screen so you can clearly see the settings on your hearing aids. As this device does not have a cover over the buttons, it has a key lock feature. This stops you from accidentally changing any settings if the remote control is in your bag or pocket. 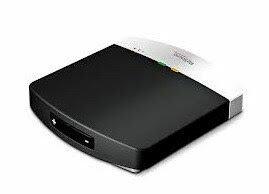 You can also use this device with your Resound TV streamer to give you even more control. 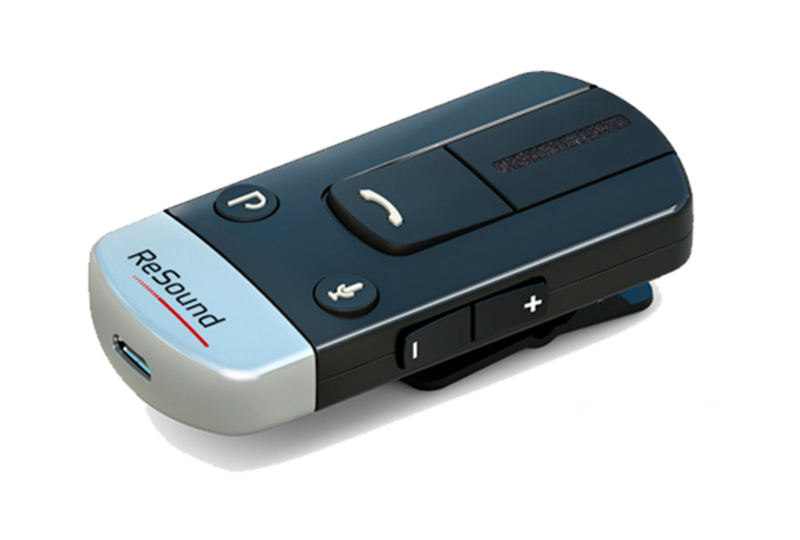 The Resound Unite Remote Control is very simple to use with easy buttons and a clear display. It is especially handy for people who may find the buttons on their hearing aids too small and fiddly. The Unite Mini Microphone is a multi-functional discreet little device designed to transmit sound directly to your hearing aids. 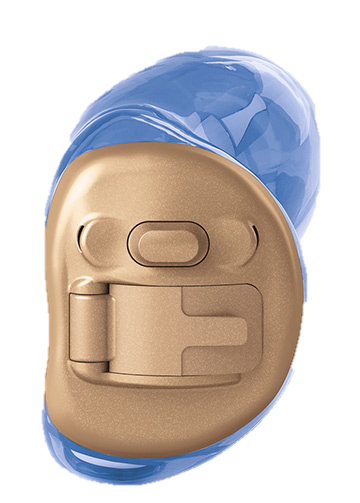 In a difficult listening environment, this device can be easily clipped to the clothing of another person and it will then stream their voice straight into your hearing aids. It can also be used as a portable audio streamer. This allows you to connect your hearing aids to your laptop or music player. Another useful function of this device is its ability to stream TV sound even if you are not in your own home. If you are away from your Unite TV streamer you can simply place this device in front of the television speakers and it will transmit the sound to your hearing aids. The Unite Mini Microphone device has a transmission range of between 5-20 feet and will connect automatically, it can also reconnect if you go out of range for less than 5 minutes. It has a maximum battery life of approximately 8 hours and you can fully recharge the device in 3 hours. It has easy controls and you can activate it in two ways, either by pressing the button on your hearing aids or by using your Unite remote control.